Arkansans For The Arts : NEWS/EVENTS : Newsletters : June 2018 : Who Are We? Arkansans for the Arts (ARftA) is Arkansas's non-partisan statewide arts advocacy organization with a mission to educate, inform, and advance the arts and its role in the creative economy. ARftA was formed in 2014 by a statewide group of concerned Arkansans, with the help of Americans for the Arts (AFTA). AFTA chose Arkansas to be part of a program called the State Policy Pilot Program (SP3), a program involving ten different states, working towards different objectives to strengthen art education. ARftA was involved with SP3 for three years. To view the SP3 report, click here. Along with art education, we have goals to promote the awareness, education, and advancement of the creative economy which includes career paths such as advertising, architecture, antiques markets, crafts, design, fashion designers, technology based arts (interactive software, computer generated visual arts, music video etc. ); culinary arts, traditional arts painting, theater, music, dance, film etc. ); and more. We advocate for the National Endowment for the Arts (NEA) and encourage members to contact their representatives when issues arise. 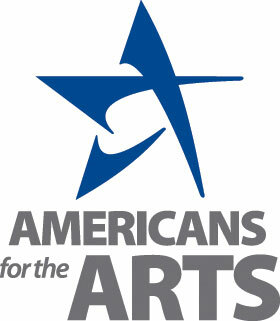 We also keep members informed on studies done by Americans for the Arts, such as the Creative Industries Study and the Arts and Economic Impact Study. The Creative Industries study looked at an assortment of nonprofit and for-profit art-centric businesses, and found that there are currently 673,656 businesses employing 3.48 million people. The Arts and Economic Impact Study found that more than 100,000 nonprofits in Arkansas support jobs, generate government revenue, and encourage tourism. We unite advocates into one voice that work to educate, inform, and advance the arts in Arkansas. We encourage artisans and art lovers in Arkansas to take action in order to raise awareness of the arts as an economic driver and to make sure the state and national legislature hears our voice. 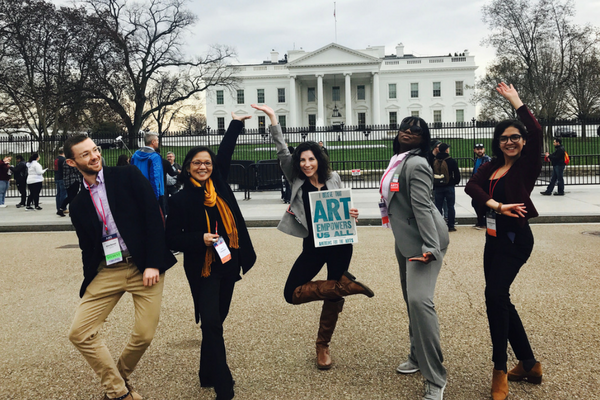 Arts Advocacy Day is coordinated by Americans for the Arts in partnership now with 90 national arts organizations. The two-day event brings together a broad cross section of America's cultural and civic organizations. Attendees travel to Washington, DC, for a day of training and networking, followed by a day of action on Capitol Hill, where they meet as delegations with their members of Congress, in support of issues like arts education, charitable giving, and funding for the National Endowment for the Arts (NEA). And, it is that team delegation element that really captures the power of the work. One past attendee reflected that the state teams were "by far the most educational and informative part," and through which also "grounded the overwhelming amount of information into practicable action." Said another, "I felt my voice was heard and valued. My team worked together so nicely and held space for all voices to speak their minds."